This device is catered to commercial & heavy duty vehicle's - and would not be suited to standard passenger vehicles. 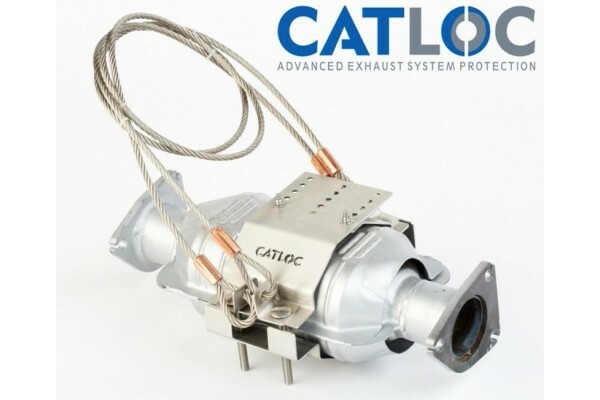 Catloc is a unique physical security product that is installed around a vehicle catalytic converter or diesel particulate filter (DPF) to prevent theft or tampering. Catalytic converters and exhaust system components are extremely valuable and are therefore an ideal target for thieves. With the appropriate tools and cutting equipment, a catalytic converter of DPF can be removed from a vehicle in a matter of minutes and they are an ideal 'scrap metal' commodity for the opportunist money maker! 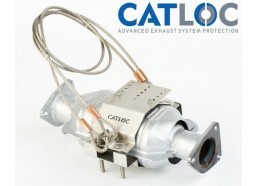 There are two main ways that a Catloc device will protect your catalytic converter - either by securing the Catloc to the catalytic converter itself and then linking the device directly to the vehicle chassis using a high-strength lanyard, or by shileding the most vulnerable area of the catalytic converter, thus denying access and preventing removal. This secure installation method is then further enhanced with the addition of the Catloc ISR system. Catloc ISR is a Police approved and Thatcham accredited CAT permanent marking and registration system. 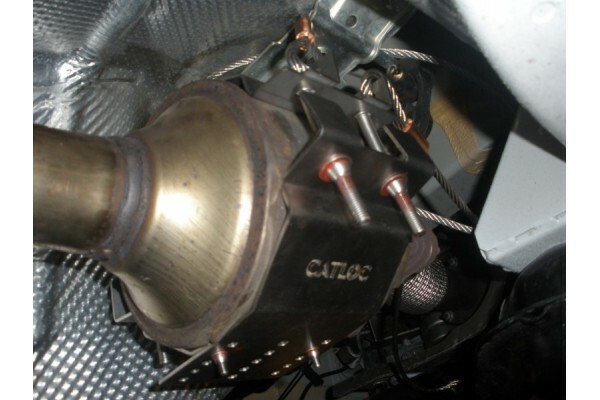 A unique identification code is etched into the catalytic converter or DPF. This Identification code is then registered on the official ISR database so that, in the event of a stolen CAT being recovered or handed into the Police, the CAT can be traced back to the original owner's vehicle. As the ISR is a recognised security database, it is very likely that a conviction can be secured if the device is found to be in a thief's possession. This, in turn, dramatically reduces the desirability of a stolen CAT. 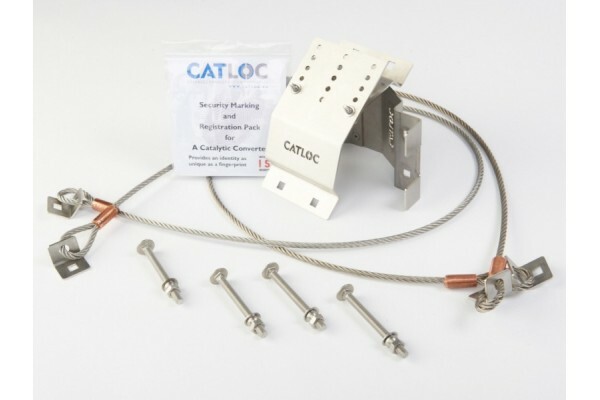 The Catloc system has been designed with optimum security in mind and is manufactured to a high specification using marine grade stainless steel for ultimate strength and durability. The system is supplied with high-security anti tamper installation fixings, the Catloc ISR system and fully illustrated installation instructions for ease of fitment. Installation on an average car or commercial vehicle usually takes between 15-45 minutes and the work can be undertaken by anybody with a basic knowledge of vehicle mechanics or 'hands on' experience. The VT Store offers a telephone installation and support service. Please call us on 0845 287 3764 for further information. The Catloc system is the market leading CAT protection device in the UK and it is currently offered as an OEM approved option by Mercedes-Benz commercial vehicles. 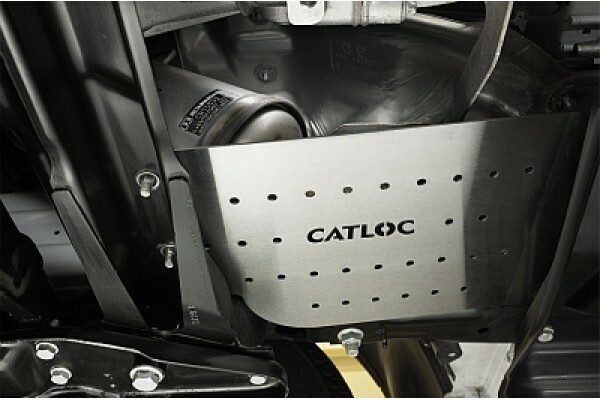 Catloc are so confident in the quality and effectiveness of their product that, in the unlikley event of your Catloc being removed during a theft or attempted thef of your catalytic converter, they will replace the product FREE OF CHARGE*. This offer is valid for the lifetime of vehicle ownership. * Subject to terms and conditions - please contact us for details.